Brand loyalty is something that scheming marketing folks are always trying to tap into, but seldom will you find this in the private vehicle-to-vehicle sales world. However, if you've ever purchased a car from a trustworthy fellow, you know how rewarding that can be, so it makes sense to buy more from the guy...right? 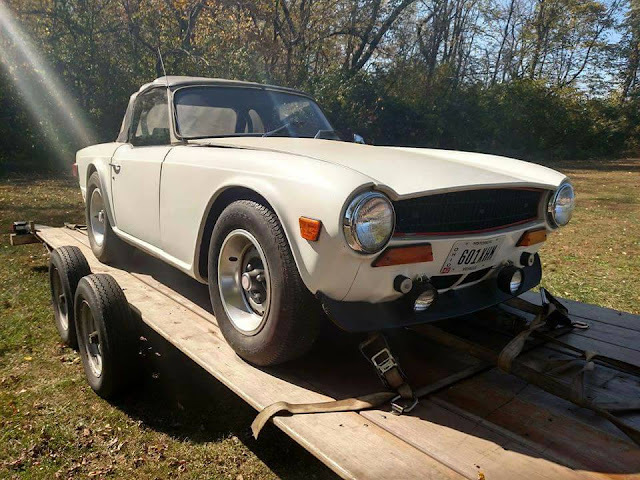 Who knows if this seller is trustworthy, but the last feature was his reasonably priced Volvo 122S, and you can also buy his 1972 Triumph TR6 offered for $4,700 in Mechanicsburg, OH via craigslist. Tip from Hunter. The TR6 was the 6-cylinder powered best selling car of the TR range sold by the Triumph Motor Company from 1968 through 1976. 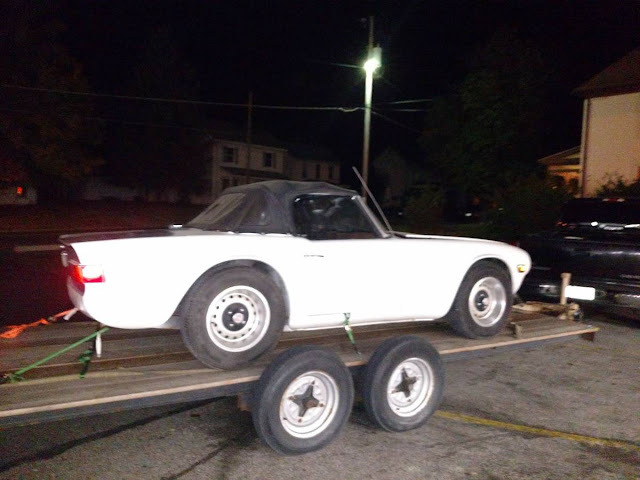 The big (for a British sports car from 1960s) inline-6 was connected to a semi-trailing arm IRS out back and steered with rack-and-pinon up front, but it still used body-on-frame construction. It is undeniably iconic and this one looks like a good deal if you can handle a project. One of my favorite HotWheels belonging to my son.